Next review LeafFilter North - Excellent Service, Product and Everything Else! 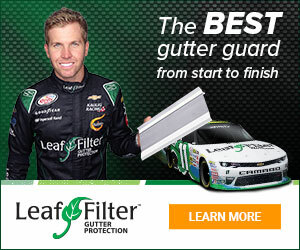 LeafFilter North - Great Service! On time professional and very pleasant to deal with. Great work and he was done before I knew it. THUMBS UP ACROSS THE BOARD! – Willie F.
Review #1502696 is a subjective opinion of testimonial.